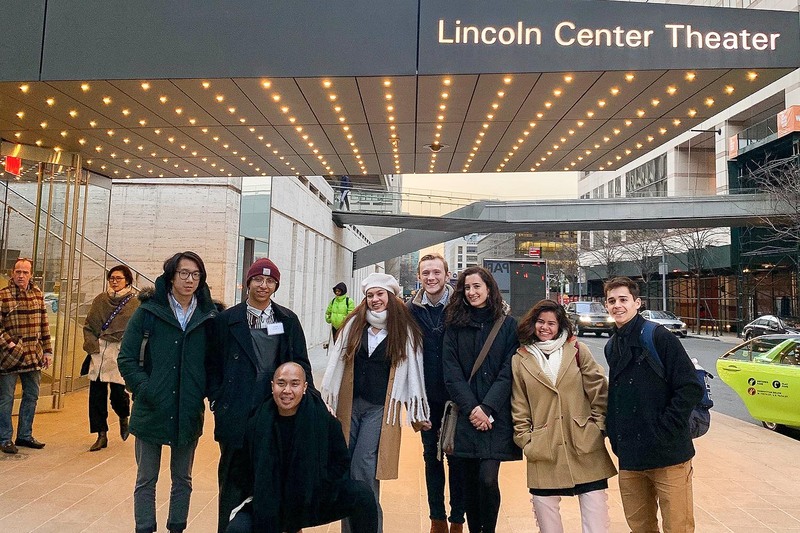 The alumni, Michele Drossner ’14 (Deloitte) and Winston Soh ’14 (Deloitte), and students Cindy Horng ’17 (Deloitte) and Asad Hassanali ’17 (McKinsey) advised the students to prepare themselves for internships and full-time recruiting. The event concluded with a Q&A session. Drossner majored in economics and psychology and works with clients in the life sciences, business model transformation and strategy. Soh majored in the College of Social Studies and economics and works with clients in consumer products and media, strategy and supply chain logistics. Hassanali is majoring in the College of Social Studies and economics and works with clients in chemicals and energy. And Horng is majoring in economics and French and has client experience in finance. She interned at Deloitte last summer and is returning full-time after graduation. 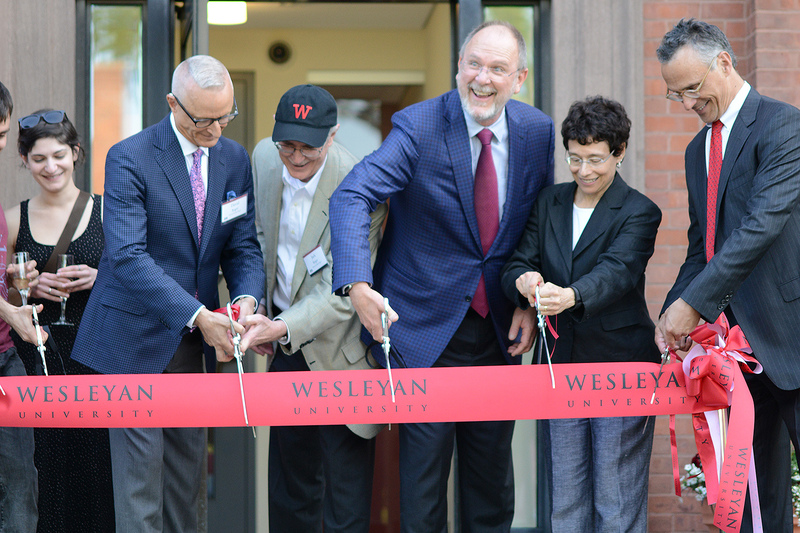 During Reunion & Commencement Weekend, the Wesleyan community celebrated the dedications of three prominent areas of campus with ribbon-cutting ceremonies. 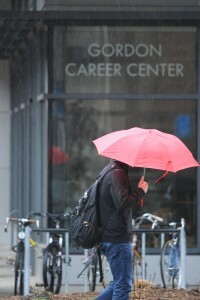 They include Boger Hall (formerly 41 Wyllys), the Gordon Career Center (located inside Boger Hall), and The West Wing of Usdan University Center. 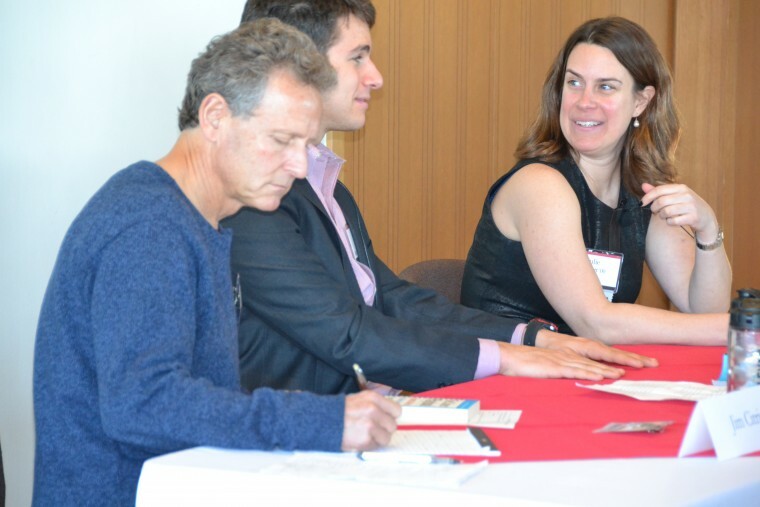 On Friday, April 1, almost 70 students and 38 expert advisors (including 31 Wesleyan alumni and parents) came together for one-on-one speed networking sessions during Connect@WES: Creating Connections in Beckham Hall. 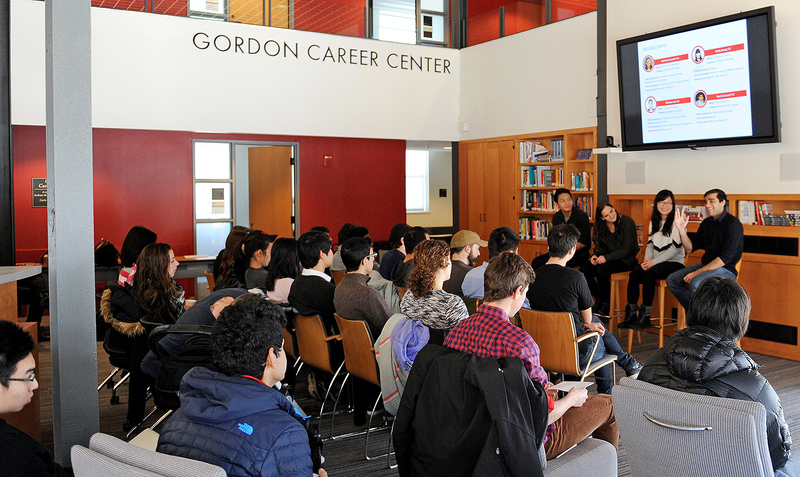 Sponsored by the Gordon Career Center, the annual event is designed to teach students how to develop professional relationships outside of the Career Center and Wesleyan. 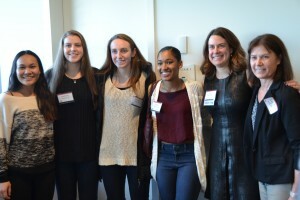 This year’s event included advisors representing Peatix, RNSights, Northeastern, JP Morgan, NBC Universal, Merrill Lynch, Planned Parenthood, the State of Connecticut, Aon Hewitt, Epsilon, Perella Weinberg, FCTRY, Citi and many others. Between Jan. 4-20, the Career Center hosted Winter on Wyllys, a series of programs that assistant students with their own career development. Students had the opportunity to shadow an employer during Winter Break; identify what factors may be influencing their choice of major or career path; explore internship and career opportunities online; meet with alumni; learn about a career in teaching through the Teacher Generation Program; and participate in an intensive two-day Wall Street Prep’s Financial Training Seminar. 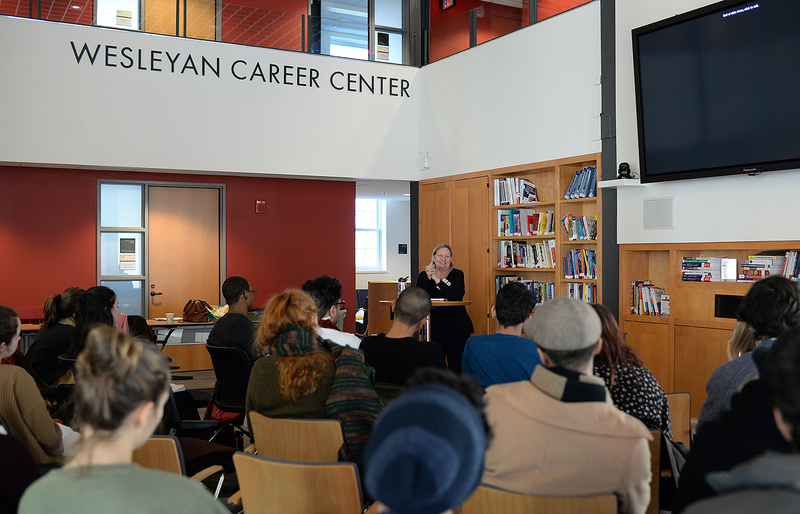 From Jan. 11-15, students participated in CareerLab, a bootcamp style introduction to searching for internships and jobs. 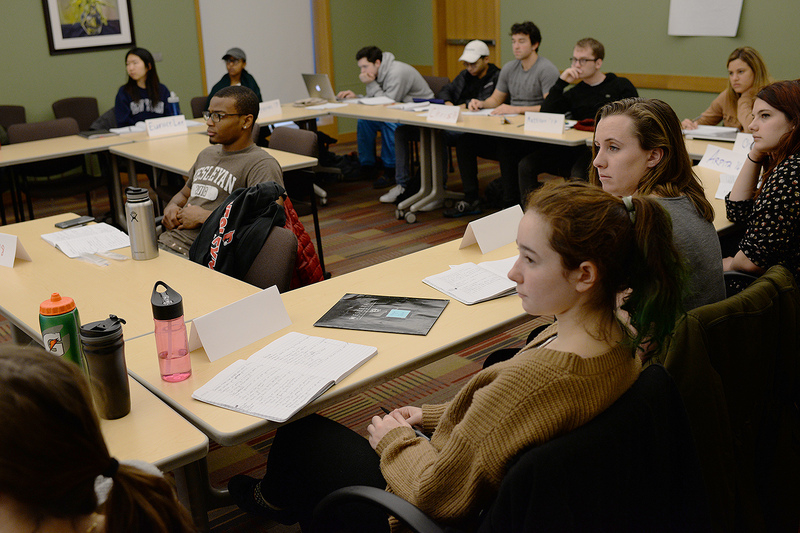 Students ended the week with an understanding of how to research fields and organizations, use LinkedIn and social media to engage with alumni and trade groups, interview effectively, and launch ​themselves​ as a professional in ​their​ field of interest. To learn more about Winter on Wyllys, see this webpage. 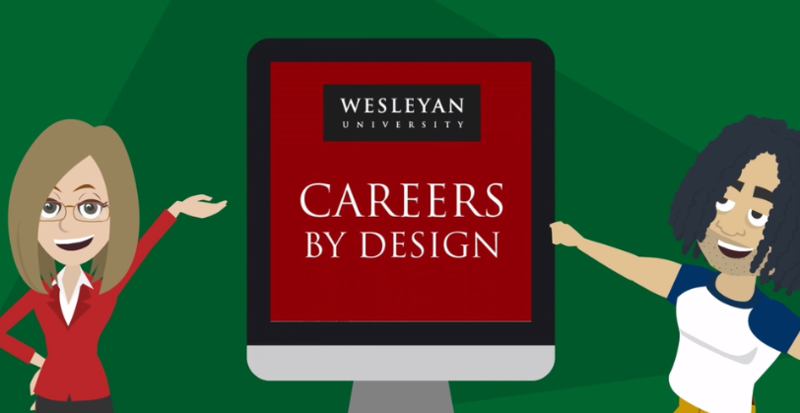 Wesleyan’s Career Center offers a new recruiting platform called CareerDrive. Students can access the tools through their e-portfolio and search and apply for jobs and internships, view the employer directory, manage career advising appointments and browse a calendar listing of upcoming workshops, employer information sessions and on-campus interviews. The platform also offers integration with LinkedIn and Facebook to shows students their connections with specific organizations. 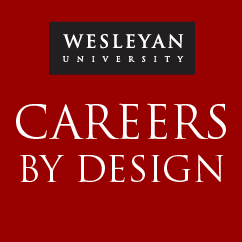 CareerDrive is one of many professional development initiatives offered by the Wesleyan Career Center this fall. 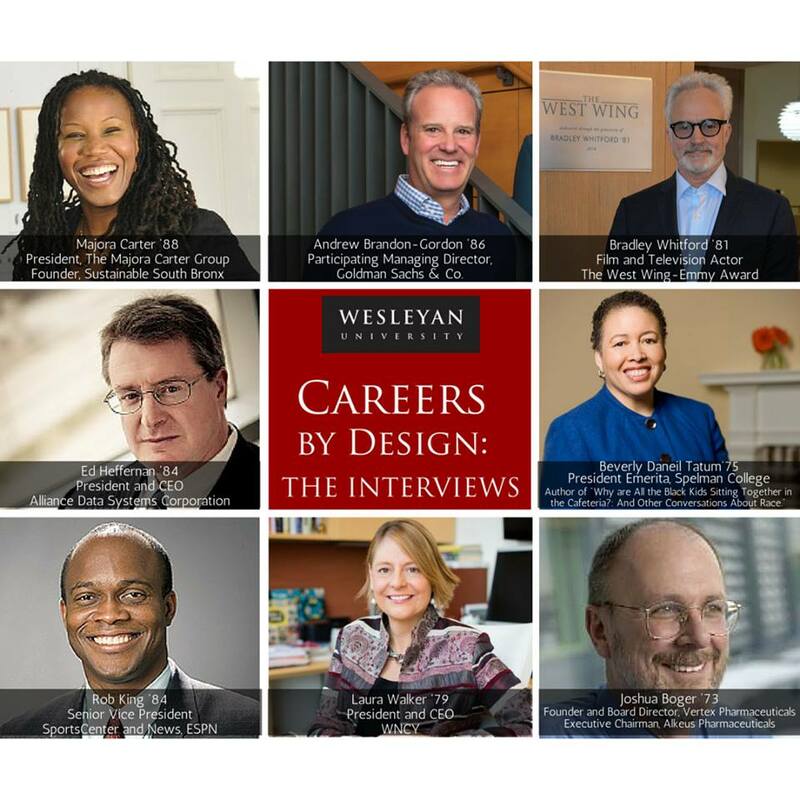 Students getting ready for life beyond campus can take advantage of several comprehensive professional development initiatives offered by the Wesleyan Career Center. 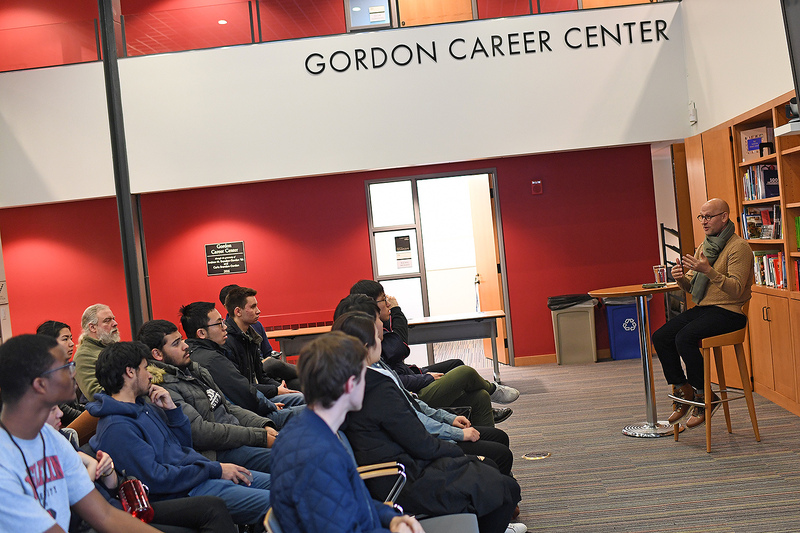 CareerDrive fuels students’ efforts to learn career management skills, search for jobs and internships, sign up for events, and track progress toward their goals. Powered by CSO Research, CareerDrive will allow students to search and apply for jobs and internships, store their documents, register for events and gain access to subscription-only online resources. It replaces Wesleyan’s previous recruiting system. One feature will allow job-seekers to see social media connections in target organizations. While the new recruiting platform is open to all students, seniors can participate in Accelerate, a “job search boot camp” running concurrently with the fall recruiting season, providing job hunters with real-time guidance.